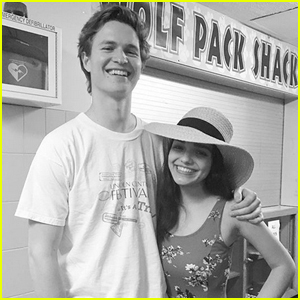 West Side Story Photos, News, and Videos | Just Jared Jr.
Rachel Zegler got a huge surprise from Ansel Elgort! The 25-year-old Baby Driver actor stopped by his West Side Story 17-year-old co-star star in her high school musical. “met this FAN at the stagedoor! he was pretty cool! not sure if y’all have heard of him? pretty sure his name’s tony,” Rachel captioned the below shot. 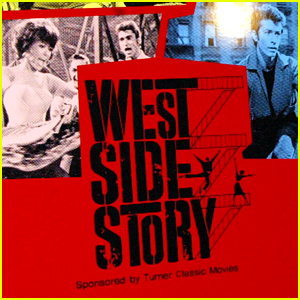 'West Side Story' Movie Casts High School Student Rachel Zegler as Maria! The 17-year-old high school student beat our over 30,000 others for the lead role in Steven Spielberg‘s upcoming West Side Story! Broadway veterans Ariana DeBose and David Alvarez will star as Anita and Bernado, members of the Sharks. You may recognize Ariana from Hamilton and Summer: The Donna Summer Musical and you may recognize David from his work in Billy Elliot. Filming will reportedly begin this summer. The Leonard Bernstein musical was previously made into a movie in 1961 and has been on Broadway several times over the past decades.